With Mother’s Day fast approaching and not having the deepest pockets (travel funds are a priority right now) we put together this quick and easy DIY for you to score some mom-brownie-points with. 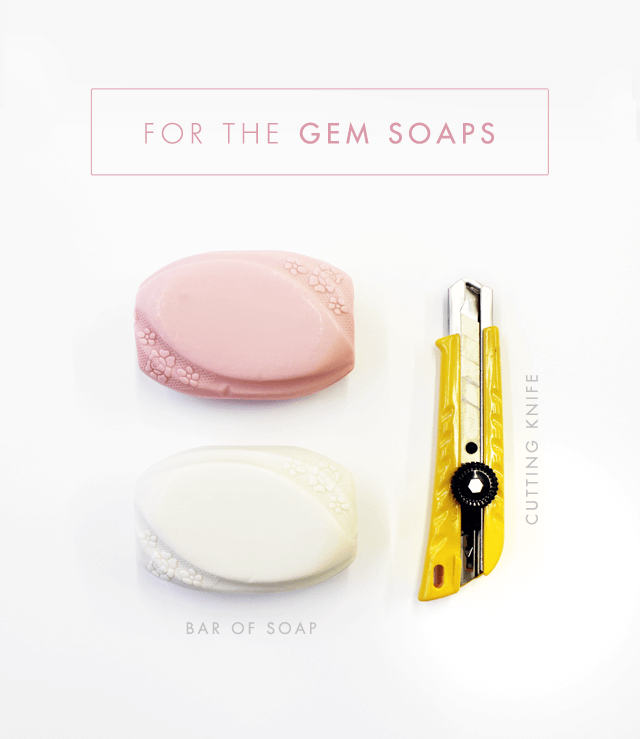 These little gem soaps are super cute and a sure winner in the gift giving department – plus, we all know how mothers LOVE hand-made gifts! 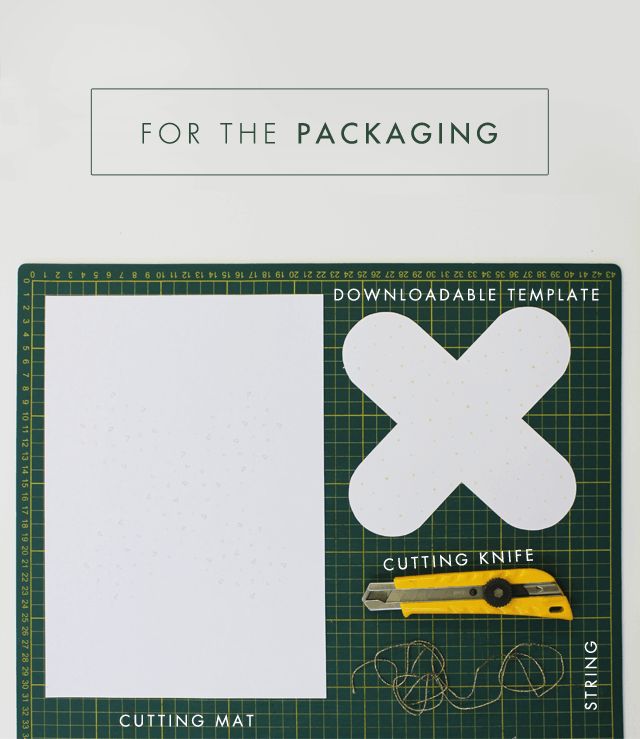 We have even included downloadable packaging that you simply need to print and cut out (neat huh?). Click to download: [Download not found] or [Download not found] packaging. 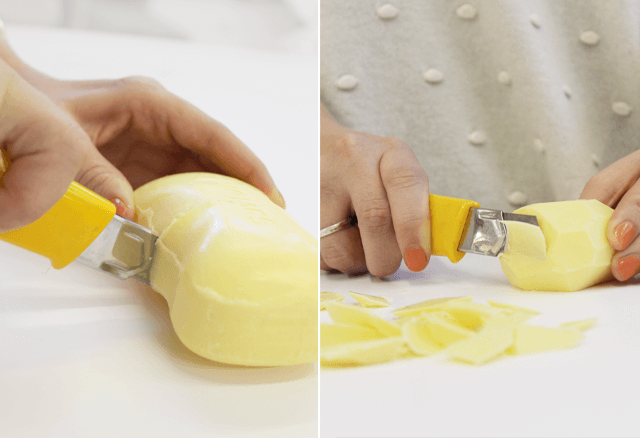 Cut your bar of soap in half using the cutting knife. 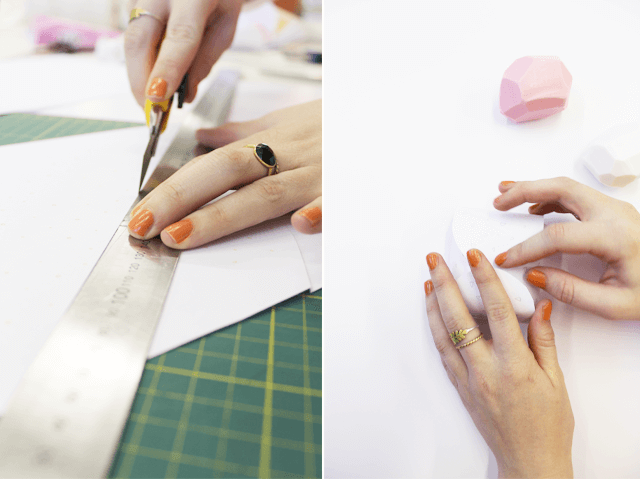 Start carving the soap at angles, mimicking the faceted shape of a gem. Repeat the process on the other half. Print and cut out the downloadable packaging. 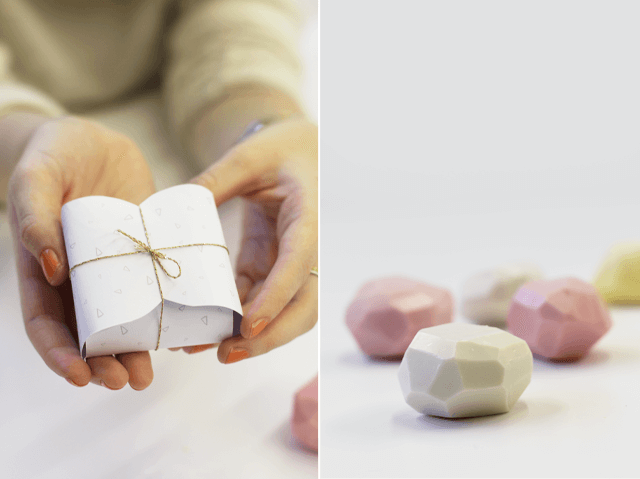 Place on soap in the middle of the cut-out packaging and fold in the four flaps of the paper. With some help keeping the packaging intact, tie a string around the wrapped soap, adding a swing tag to write a sweet message on if you wish. This is so simple, yet very creative. I love the idea!